Did you know that when you do your Halloween shopping, you can use the power of your paycheck to support good jobs that pay well and respect the rights of working people? 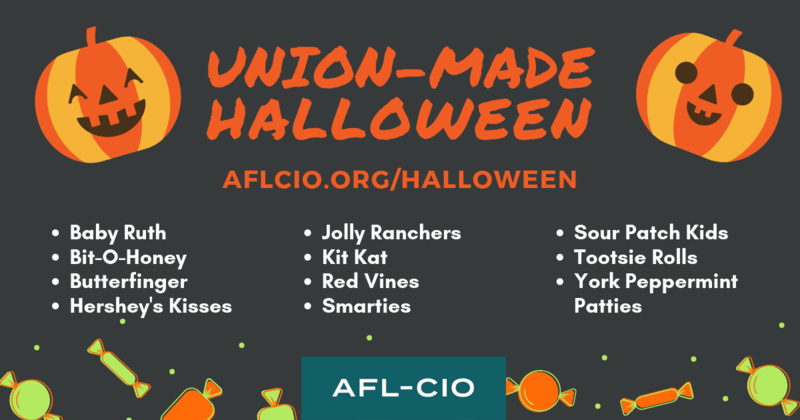 Here is a handy guide to the union-made treats that will make your holiday not only fun, but will help working people, too. *Some products made abroad; check the label for country of origin. **Also made at a nonunion plant in Laporte, Indiana. For more information on union-made products, visit Union Label and Service Trades Department's website.